Corina has a depth and breadth of knowledge and experience in the dance, youth, sports development, education, community and social enterprise sectors. She is a highly skilled and resourceful marketer, campaign and event manager. Short-listed for a Government Business Award, she was highly commended for an innovative social marketing campaign. Most recently in 2015, She completed a professional qualification in Social Media Strategy (CertSocM) at the IDM. In 2015 she also became a graduate of the College of Public Speaking where she completed a 5-day intensive training programme in all aspects of this communicatory art. Corina led a team of young researchers who subsequently made it to the finals of The Young People of the Year Awards 2011 (YOPEY) for an outstanding piece of research looking at negative media stereotyping of youth. She completed her most recent piece of research in 2016 – “Let’s Get Social” -which looks at the impact of social media on today’s youth and makes recommendations for how youth service providers in the public and VCSE sectors could better engage and serve new generations of youth in their local communities through this tool. Corina’s journey as a business owner started in 2011 with around £200 and a book full of ideas. After trial and error of a few of these ideas, in 2013 she envisaged a business based in empowering female success through arts – “Empowerment Through Creativity”. Soon after, Vivid was born. 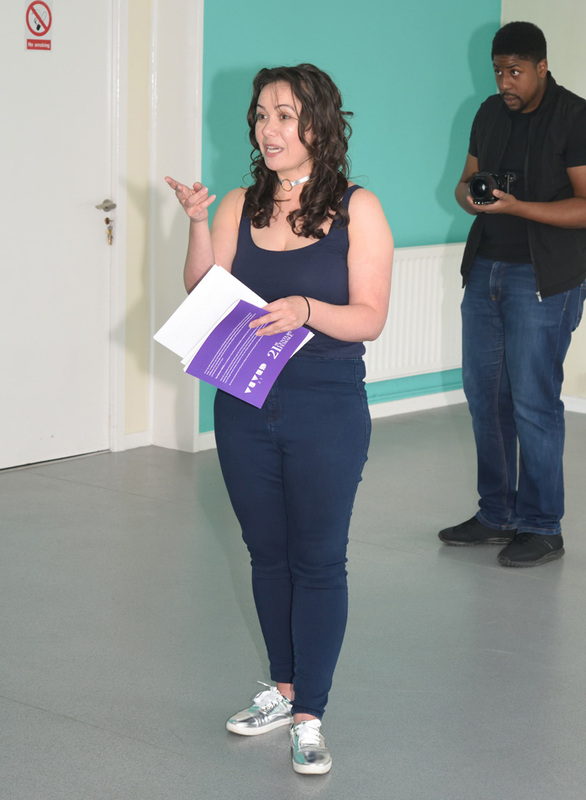 She is now a three-time Unltd Award Winner receiving an initial grant from the piloting stage of her Vivid programme in 2014, then two further grants and a package of support services in 2015 and 2016; to expand and grow this idea in to a fully fledged social enterprise. Unltd has been a key investor and supporter of Corina and making her Vivid vision a reality. Through building her own business from scratch Corina has undergone many personal challenges, developed a depth of knowledge and honed her business acumen in ways that are necessary to survive and thrive as a 21st century female leader.